On February 26th, 2019 Mongabay.com (‘News & Inspiration from Nature’s Frontline’) published an unusually long article called “It pays, but does it stay? 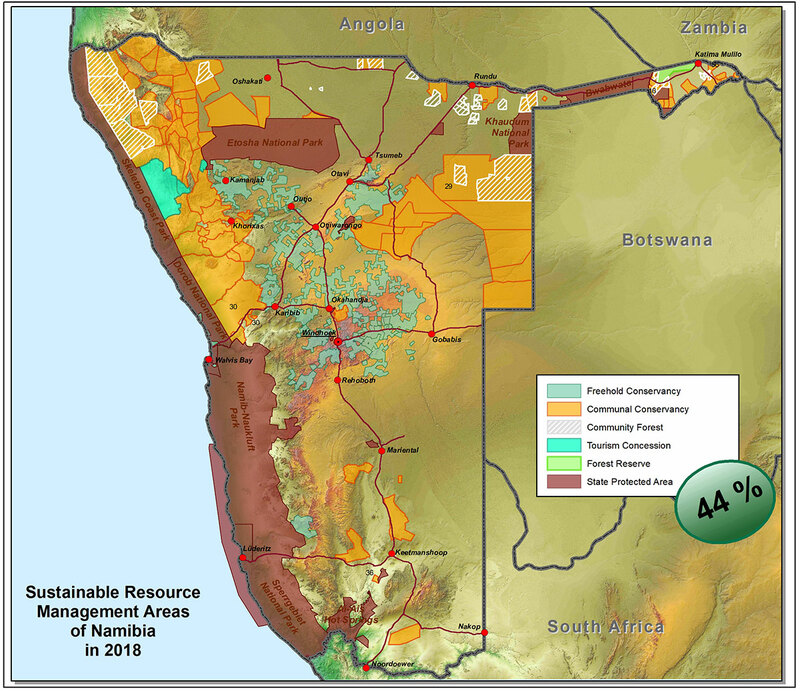 Hunting in Namibia’s community conservation system”, replete with photos, graphs, statistics and videos. In it, the author, John Grobler, heaped scathing criticism on Namibia’s Wildlife Conservation Model. Almost a month later, a condensed version titled “Troubled times for Namibian wildlife”, was published as an op-ed in The Daily Maverick, an online South African newspaper. Funding for Grobler’s work appears to have come (at least partially, as this was disclosed in the Daily Maverick op-ed) from the Conservation Action Trust based in South Africa. 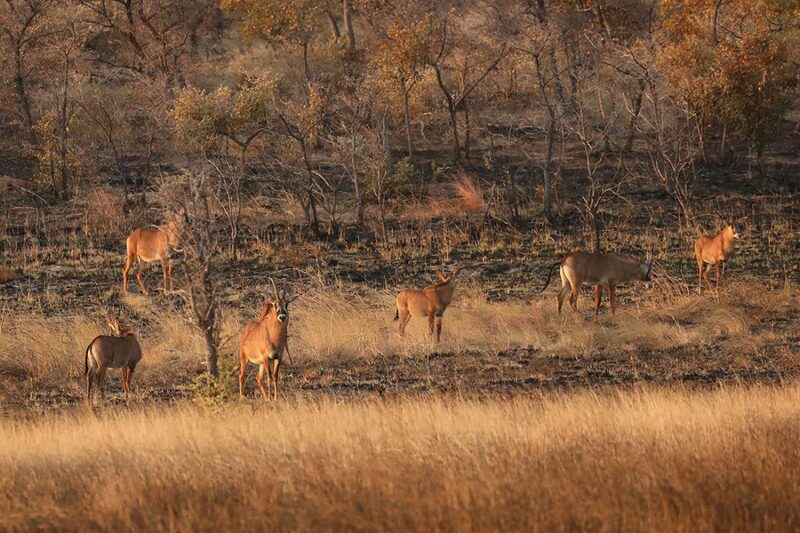 In these articles, Grobler suggests that there are inherent problems with hunting in Namibia in general, and with Namibia’s renowned conservancy system in particular. As ‘proof’ he cites isolated governance- and socio-economic-related issues in the Nyae Nyae Conservancy (NNC) and the Ju|’hoansi communities and draws on some anecdotal observations from a hunting safari operator describing problems of elephant and hippo hunting quotas in the Zambezi Region. In fact, due diligence finds that Grobler has cherry-picked several incidents and situations, and that he not only quoted the hunting safari operator out of context, he put words into his mouth. One suspects that he also ‘framed’ unsuspecting rural community members through cleverly constructed questions. In addition, Grobler used NACSO (the Namibian Association of CBNRM Support Organizations) graphs out of context and created further distortions with his own pseudo-scientific graphs. The result is patent untruth. Grobler appears to rate his own expertise higher than that of Namibia’s recognized conservation experts, but his writings show a distinct lack of understanding of wildlife management, quota setting, and hunting and the regional ecology in and around Nyae Nyae. 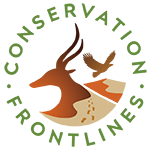 The Nyae Nyae is part of the Kalahari woodland/sandveld ecosystem; low wildlife populations are normal due to extreme shortages of water and low-nutrition vegetation on leached sandy soils. During years of higher or early rainfall, not many animals come to the artificial waterholes to drink. This happened, for example, in the 2015/2016 rainy season, when Nyae Nyae had much more than its average rain fall, and large waterlogged pans formed across the landscape. In any case, many species in the Kalahari, like oryx, kudu, duiker, steenbok, etc., are not overly water dependent and do not visit waterholes daily. Grobler’s conclusions concerning Nyae Nyae game numbers are based upon his utterly erroneous interpretation of moonlight counts and a few anecdotal observations made when he visited the area for one week. Moonlight counts have never been used for quota setting as they are extremely inconsistent; they are sometimes used to supplement harder data, obtained in other ways, to determine minimum populations of certain species. Historically, hunting quotas for Nyae Nyae have been based on intermittent aerial census data, community ranger sightings from the event-book-monitoring system, offtake rates and effort, hunter report-back data, and trophy quality monitoring. Nyae Nyae’s elephant hunting quotas are based on the population of the wider Khaudum National Park and the Nyae Nyae Conservancy together. MET (Ministry of Environment and Tourism) aerial census data from 1998-2015 show that the Khaudum/Nyae Nyae elephant population grew by an average of about 3 percent annually. Additionally, elephant hunting records confirm a stable to improving trophy quality over the same time frame. Another aerial census is due later this year. Grobler also disregards that Namibia’s severe climatic conditions may require drastic changes in harvest regimes. He lacks objective knowledge—or refuses to learn from experts—of the synergetic links between sustainable hunting, habitat and wildlife conservation, and sustainable community development. Grobler’s errors are too many to be addressed individually; perhaps worse, he fails to propose improvements or viable alternatives to existing wildlife management systems. Over the years, Grobler has aligned himself with Izak and Ingrid Smit, two other Southern African anti-hunting activists who seek to discredit Namibia’s conservancies, the country’s Ministry of Environment and Tourism, NACSO, NAPHA (the Namibia Professional Hunting Association), WWF-Namibia, IRDNC (Integrated Rural Development and Nature Conservation), and other NGOs active in community-based wildlife management. Grobler et al. seem to focus on bringing disrepute upon communal conservancies and sustainable hunting in Namibia; their relentless rhetoric has fueled the fervor of many desktop anti-hunting Social Media activists. Grobler’s opinions are shining examples of confused self-overestimation. He has a tendency to twist reality to suit his and his funders’ anti-use ideology. We know this as the Dunning-Kruger effect—an observation from psychology that ‘incompetence prevents the incompetent from recognizing their incompetence’. Two other cognitive biases may help explain Grobler’s flawed conclusions: First, in an act of ’active information avoidance’ Grobler seems to ignore information that could help him better understand the issues, because it clashes with his existing beliefs. Second, he succumbs to the ‘backfire effect’, which describes how people can become entrenched in their original positions after rejecting new information. In fact, the Namibian Wildlife Conservation Model, despite some acknowledged shortfalls, has one of the best conservation records in the world. The Namibian conservancies and their members are central stakeholders in habitat and wildlife conservation, that give power to rural communities. If the system were failing—as Grobler contends—why does Namibia have more than 166,000 square kilometers (64,000 square miles) of land under 86 communal conservancies? Why are the country’s rhino and elephant populations growing, despite the onslaught of organized wildlife crime? Why does Namibia today have lions on communal lands, when in 1995 there were none? Like any practical wildlife conservation program anywhere in the world, the Namibian Wildlife Conservation Model is work in progress. Researchers, managers and agencies strive constantly to improve conditions for habitat, wildlife and the people living with wildlife. Habitat evaluation and science-based wildlife monitoring over time and space detect critical intervention points and produce new knowledge; the outcomes are used to adapt methods and processes. Yes, there are some problems in the Nyae Nyae conservancy and in the Zambezi Region, and there are regionally specific problems within the Namibian CBNRM (Community Based Natural Resource Management) program, but they are not necessarily the ones identified by Grobler. We don’t need global internet battles and irrational Social Media storms fanned by underinformed and fact-twisting ‘journalists’ with ulterior motives. What Namibia needs is for all stakeholders to work in concert to further improve the country’s inclusive and successful sustainable-use wildlife policies. Postscript: The timing of Grobler’s recent writings may not be accidental. 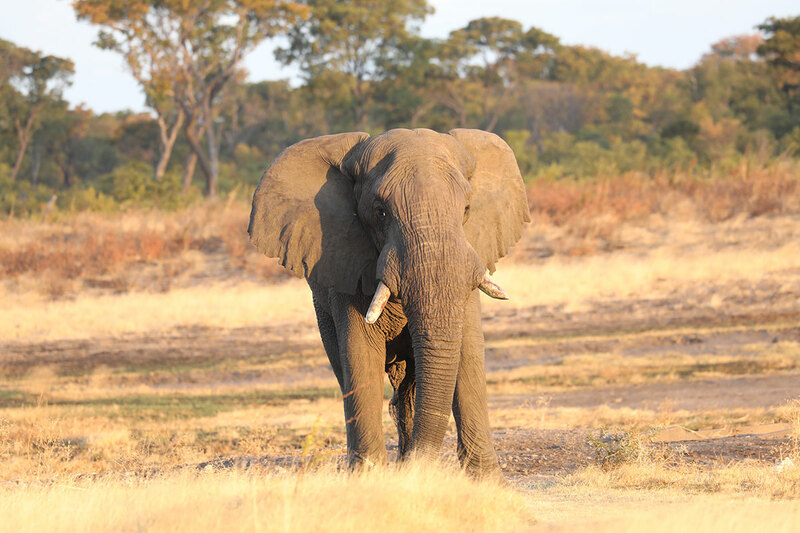 We are now seeing a 180-degree reversal in Botswana’s wildlife policy back toward sustainable hunting; and the next CITES Conference of Parties will take place in May in Sri Lanka. We have to brace ourselves for more of the anti-wildlife-use actions aimed at Southern Africa. Material for this editorial came from Malan Lindeque, Chair of the Namibian Conservation Board (an 11-member board appointed by the Minister of Environment and Tourism engaging in policy frameworks, solutions and strategies on the management of wildlife in Namibia), Danene van der Westhuyzen, President of NAPHA and member of the Namibian Conservation Board, and Stephan Jacobs, professional hunter and safari outfitter for the Nyae Nyae Conservancy, as well as from publicly available records of NACSO, and the Namibia Chamber of Environment. Photo1: Herd of roan antelope in the Khaudum Omarumba; Photo 2: Bull elephant, Khaudum National Park; photos published with permission. © 2019 Conservation Frontlines Foundation 501(c)3 (IRS recognition pending) All Rights Reserved.